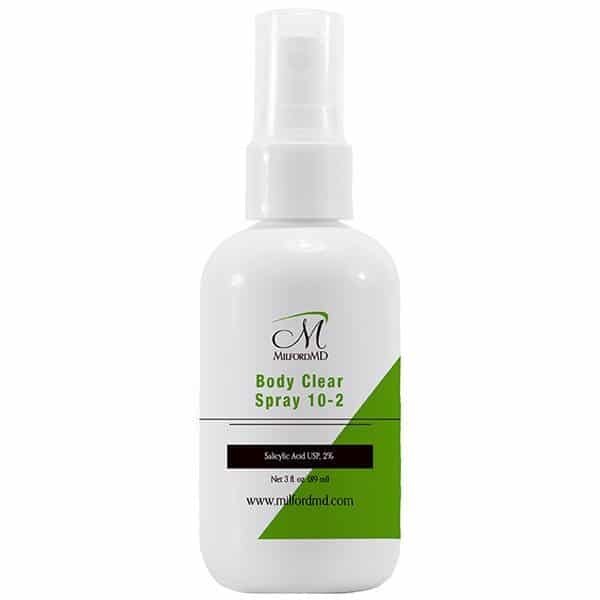 Acne Body Clear Spray treats and prevents breakouts with purifying salicylic acid and glycolic acid. 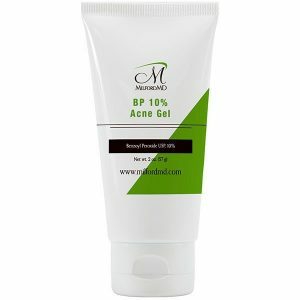 Eliminates acne-causing bacteria, unclogs pores and controls excess oil production. A 10% dosage of glycolic acid exfoliates and enhances skin clarity, also smoothing skin texture. Ultra pure glycolic acid coupled with the proven acne fighting ingredient salicylic acid 2% bottled t be sprayed on the body, especially for the hard to reach areas on the back. 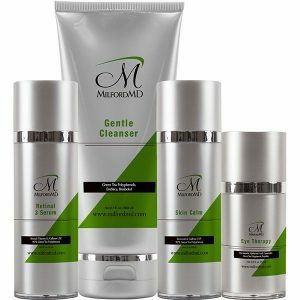 It is specially formulated to accelerate the removal of dead skin cells that can interfere with the proper oil drainage of the skin. 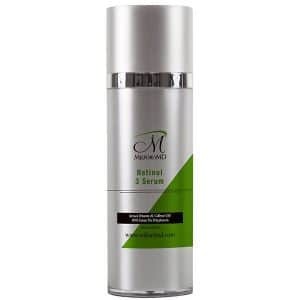 The 10% Glycolic Acid promotes exfoliation and smoother looking skin. Salicylic Acid USP- 2% removes surface oils, unclogs pores and opens up plugged follicles. Skin conditioners and natural botanicals hydrate irritated skin. Witch hazel smooths and tones the skin. This product is paraben, oil, sulfate, colorant and fragrance-free. Non-comedogenic.